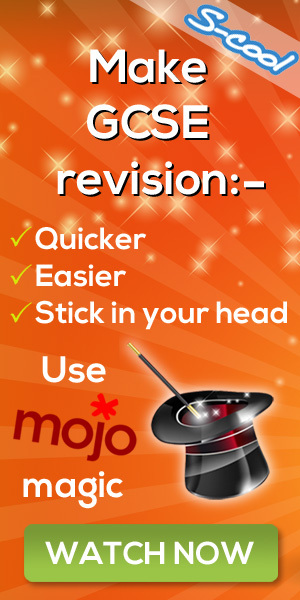 We are getting down to the business end of the academic year – time to get yourself in gear to optimise your results. So how about making a New Year’s resolution? Well, Lauren, one of the tutors at our friends MyTutor has got a great suggestion for you. New Year’s resolutions are famously difficult to keep. #1 - No chocolate? That’s only lasting until January 5th, when all those wonderful gimmicky advent calendars are slashed to a fraction of their original price. #2 - To spend less money? Good luck when the January sales emails come pouring in. #3 - To be more organised with your studying? Well, a year is a long time to keep that up and things sometimes slip, no matter how many coloured highlighters you have. The only resolution I have ever managed to keep was, aged 7, to stop biting my fingernails. And I still nibble them sometimes. No, new year’s resolutions are most definitely not the way forward. In fact, according to Forbes, just 8% of people manage to keep them. So, what does this mean for your 2017? Here at MyTutor, we’re all about positive change or self-improvement (that much might be obvious - we are an online tutoring platform after all). However, we like to do things a little differently. So instead of New Year’s resolutions, we’re suggesting 30-day mini-challenges instead. 30-day challenges have become popular of late as a way to kick-start your goals without the pressure of making a year-long commitment. 24 Life says that ‘consensus among experts is that 30-day challenges can offer a great strategy for getting people started toward a goal or desired outcome’. Additionally, a number commonly thrown about is 21. It takes 21 days to form a habit, we’re told. This number was suggested in the 1960s by Maxwell Maltz, a cosmetic surgeon. Since then, that number has been disputed, with a recent survey led by University College London suggesting that in fact is takes an average of 66 days to form a habit. Either way, committing yourself to a 30-day challenge is a great start. You’ll have formed a habit and reinforced it, or you’ll be half way to achieving your goal. You can skip straight to our 30 day study suggestions, or read on for a couple of national 30 day challenges that are out there. Challenge 1 - Eat yourself to a better you. One current 30-day challenge that is quite popular is ‘Veganuary’ which promotes going vegan for all of January. Launched in 2014, this charity is dedicated to helping people switch to a plant based, environmentally friendly diet. Even better, the 30-day habit-forming worked! Whilst not everyone stuck to being vegan once the month was up, over half of the participants in 2016 kept their non-vegan food intake at reduced levels when surveyed in February. Challenge 2 - Think yourself to a better you. Another one we’ve found is the mindfulness challenge, which cheekily runs to 31 days instead of 30. Mindfulness is rapidly increasing in popularity in schools and universities throughout the country. With potentially stressful mock exams and coursework deadlines approaching, it could be worth looking into. It could help you to remain calm and collected during a frantic school period. Challenge 3 - Study yourself to a better you. We think this 30-day formula might just be the trick to transforming your studying habits. What’s more, you can try something different each month. This means you can ditch what doesn’t work and try something new – without the guilt of ‘breaking’ a resolution. Read the news every day and stay up to date with current affairs. Be as creative as you want – and as ambitious. Remember, it’s only 30 days – and you might be a different person at the end of it. MyTutor helps you find a tutor who knows what they’re talking about. All our tutors are undergraduates at top universities who have recently achieved A or A* in the same exams as you, so they know the pressures you face, and they’ve got all the answers to help you achieve your exam goals.